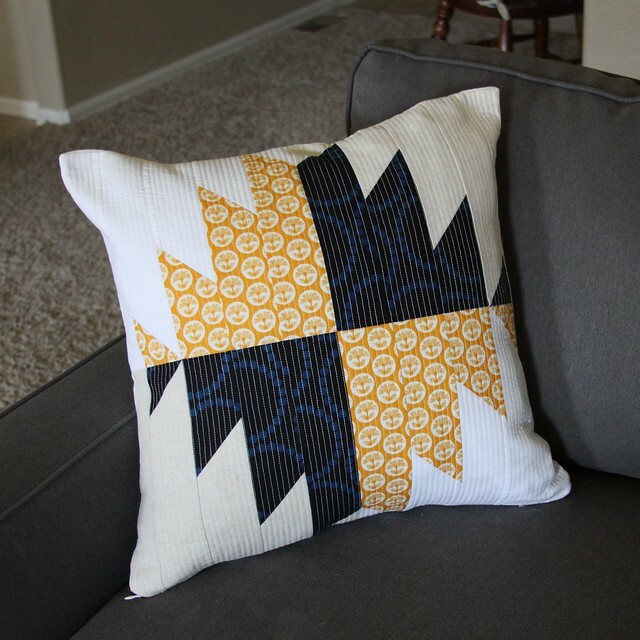 I quilted it with lines 1/4" apart, and added a zipper at the bottom for inserting and removing the pillow form. 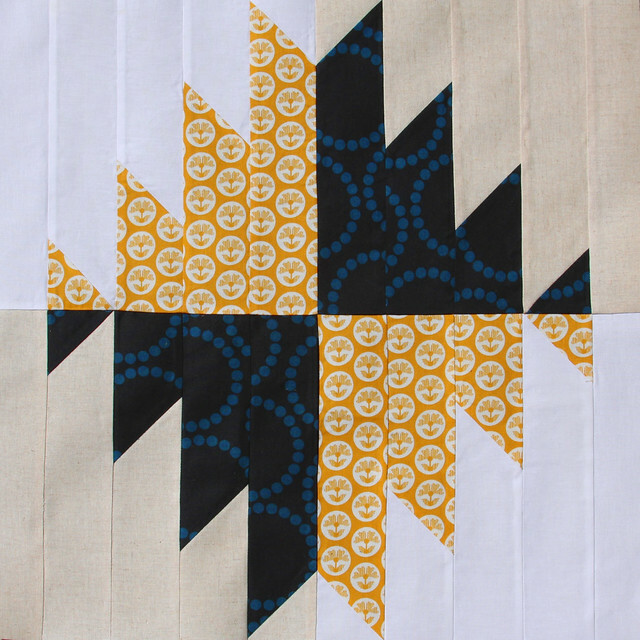 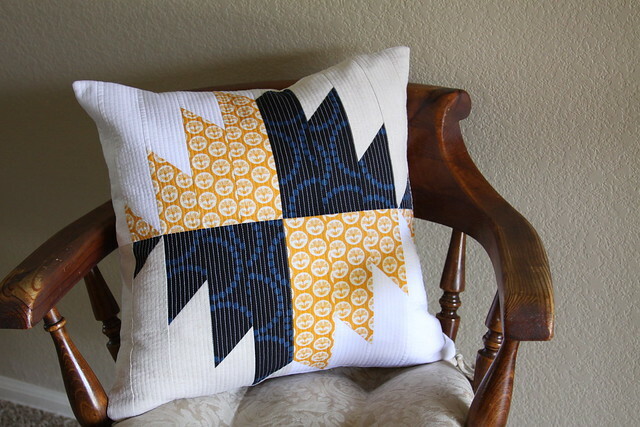 It's really beautiful - love the straight line quilting. 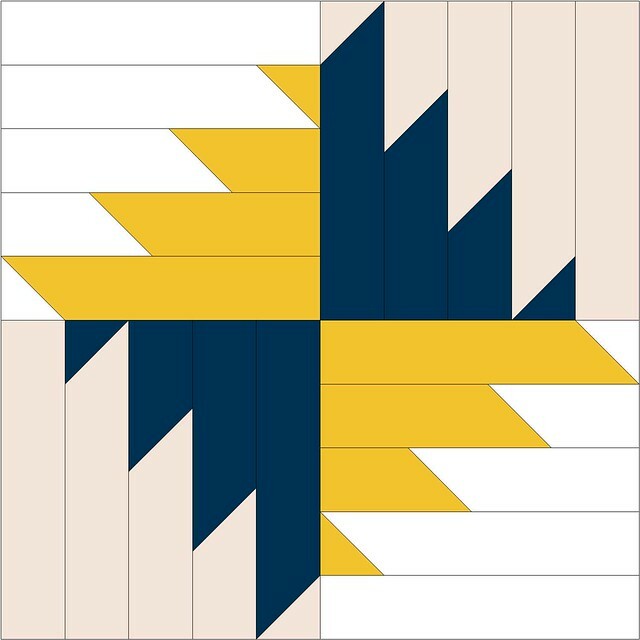 What software did you use for designing your block?